From the moment I read the word “Pregnant” on that Clearblue pee stick, I suddenly became hyper aware of my body and everything in my environment that could be affecting it. “What chemicals are in that lotion I just put on my legs? What pesticides were on that inorganic apple that I ate yesterday? And what the heck is in a Chicken McNugget? !” I spent those nine months researching a healthier lifestyle and implementing my findings in my own life. The answer is, pretty much — and not only is making your own baby wipes super easy, it’s way cheaper than buying them. Want to give it a try for yourself? Here’s how I DIY my baby wipes. While I was pregnant, I looked for a good baby wipe recipe, and found this one on Wellness Mama. I made my first batch and started testing them on myself. They felt quite nice, and I didn’t have any sort of negative reaction — I actually still use them for those times when toilet paper just won’t cut it — so I approved them for use on my baby. So far, they’ve worked like a charm: My son is six months old and has never had a diaper rash. ½ tablespoon of castile liquid soap: Made from plant oils, this soap is more delicate on skin than regular soap. Wellness Mama’s recipe calls for 1 tablespoon, but I found the wipes to be way too soapy so I reduced it by half. (Optional) A few drops of essential oils for scent, but first be sure to verify your oil of choice is OK for babies’ skin. Cut the roll of paper towels in half so you have two short rolls instead of one tall roll. You can use a kitchen knife, or even a chop saw, which my helpful husband was more than happy to have an excuse to use. Take out the cardboard roll, and put the paper towels into the container you plan to use to store the wipes. I use a quart-sized ziploc bag nestled in a Nellie’s Laundry Soda tin. Boil the water and let it cool until it’s just warm, then stir in the other ingredients. Pour over the paper towels, and you’re done! I love that this simple recipe doesn’t leave your kitchen looking like a tornado just blew through. Clean up is simple — just rinse your pot with water. It only takes about five minutes to make a batch of wipes, and each batch generally lasts me about four days. Since bacteria grow in water over time, I generally only make one or two batches at a time. However, if you wanted to make them in bulk, lavender, tea tree and lemon essential oils act as natural preservatives and you could add one of them to extend the wipes’ shelf life. How Much Do You Save With DIY Baby Wipes? So one batch of 116 homemade wipes costs $1.02. You could spend $3.68 for 116 Pampers wipes, or $1.02 for the same number of homemade wipes. Assuming you use about 29 wipes per day, you would spend about $93 per year making homemade wipes, and about $336 on Pampers wipes, leaving you with an annual savings of $243. To make these wipes even cheaper, Wellness Mama suggests skipping the paper towels and storing the liquid in a spray bottle. 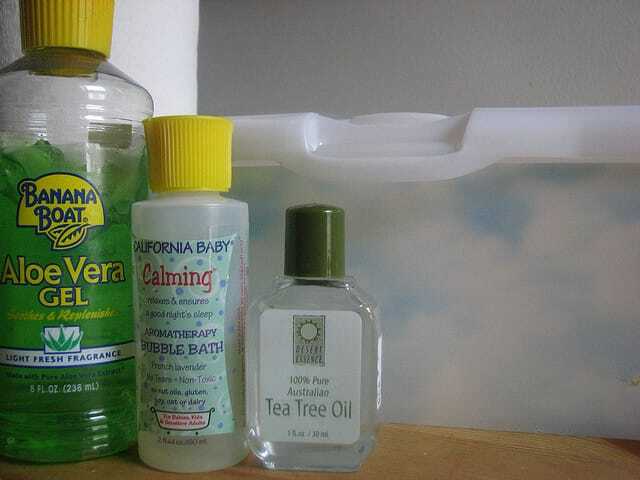 When it’s time for a diaper change, spray onto a washcloth or cut-up old T-shirt. I do this to clean up my son’s wet diapers, and use the paper towel version for the poopy diapers. Your Turn: Have you tried making your own baby wipes? Share your tips and recipes in the comments! Jennifer Moyer is a crunchy stay-at-home mom living in south Alabama with her hubby, their four-month old son and their fur baby Lucy.